The Craft Seamless Armwarmers 2.0 black unisex keep your arms warm in cold conditions. Made of very elastic fabric with different thicknesses in different thermal zones for optimal temperature management and freedom of movement. 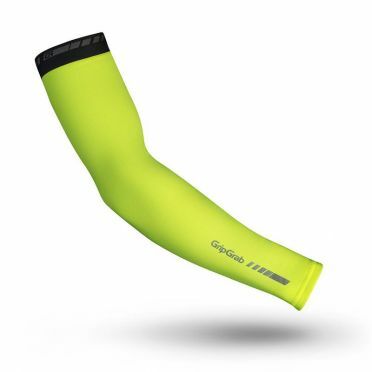 We developed the Zone3 Aquaflo plus arm warmers mint to complement one of the highest rated tri suits in the market. In stylish colours and with specific fits for Men and Women, they are made from AirFlo fabric that allows for optimum temperature control by allowing moisture to easily evaporate from the skin. Thearm warmersuseflatlock seams technology, offering full flexibility and ensuring maximum comfort whilst reducing chafing to a bare minimum. 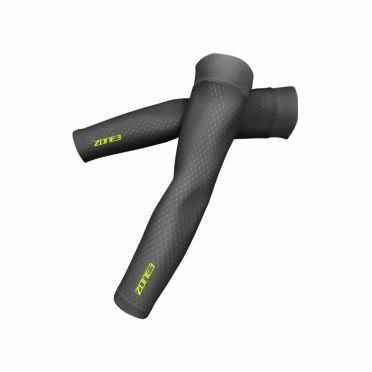 We developed the Zone3 Aquaflo plus arm warmers black to complement one of the highest rated tri suits in the market. In stylish colours and with specific fits for Men and Women, they are made from AirFlo fabric that allows for optimum temperature control by allowing moisture to easily evaporate from the skin. Thearm warmersuseflatlock seams technology, offering full flexibility and ensuring maximum comfort whilst reducing chafing to a bare minimum. The new Zone3 Aero arm warmers blue/black are designed to complement the Aeroforce Nano Short Sleeve Trisuit and help improve aerodynamics on the bike and run. The overall sleeves are designed to improve your speed, comfort and efficiency across all three disciplines. 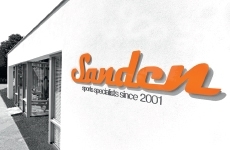 They’re great looking products with the performance and comfort needed to maximise your results this season. The GripGrab arm warmers yellow are insulating and breathable arm warmers for biking on cold days. Made from insulating and breathable brushed fleece fabric. Designed to stay in place and fit comfortably in order to give you a feel good ride. The Gripgrab UV sleeves black are lightweight, breathable and offer protection from UV rays. Made from super-stretch fabric, they fit the body as a second skin. Elastic silicon grippers ensure that the UV sleeve stay in place. Easy to remove and put in the jersey pocket if needed. The breathable sleeves are excellent for biking on sunny days when protection from UV rays are most needed. The Gripgrab UV sleeves white are lightweight, breathable and offer protection from UV rays. Made from super-stretch fabric, they fit the body as a second skin. Elastic silicon grippers ensure that the UV sleeve stay in place. Easy to remove and put in the jersey pocket if needed. The breathable sleeves are excellent for biking on sunny days when protection from UV rays are most needed. Insulating and breathable Gripgrab Arm warmers light black, for biking on cooler spring and summer days or when weather is unpredictable. Made from super-stretch, insulating fabric, they fit the body as a second skin, gracefully following every move you make. Elastic silicon grippers ensure that the warmers stay in place. Easy to remove and stick in the jersey pocket if the temperature should get warmer. Reflective logos add to your visibility and safety. The Gripgrab Arm warmers classic hi-vis yellow are made from the same breathable brushed fleece fabric as the classic arm warmers and feature the same insulating and breathable properties. The hi-vis colour scheme makes them ideal for cycling not just on cold days but in dark and misty conditions as well. 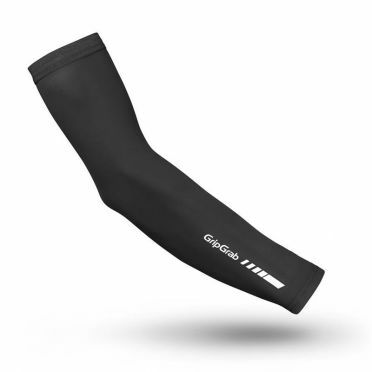 The anatomical fit and silicon elastic grip ensures the sleeve remains in place regardless of weather conditions to provide maximum comfort while riding. 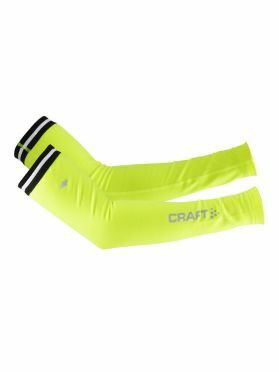 These highly visible arm warmers with reflective logos will keep you safe while training and help you stand out when racing. 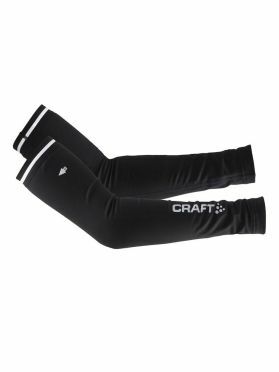 The Gripgrab Arm warmers classic black are made from a breathable brushed fleece fabric providing the ideal amount of insulation when cycling on cold days. 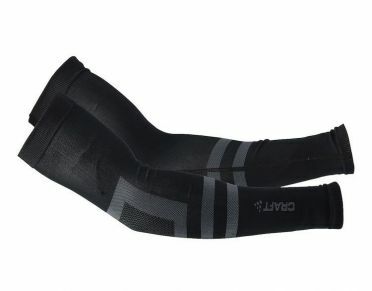 The anatomical fit and silicon elastic grip ensures the sleeve remains in place regardless of weather conditions to provide maximum comfort while riding, but can easily be removed and stored in a jersey pocket while on the go. Reflective logos add to your visibility and safety. The Gripgrab Arm warmers aquarepel black feature excellent water repellent properties and in addition have the same insulating effect as the Arm warmers classic. 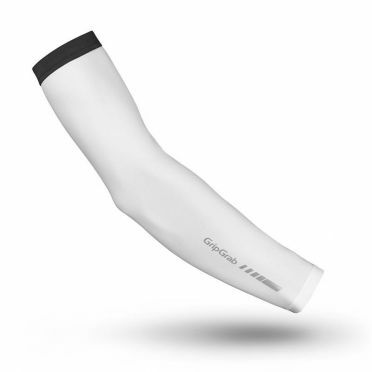 The anatomical fit and silicon elastic grip ensures the sleeve remains in place to provide maximum comfort while riding but can still be easily removed and stored in a jersey pocket while on the go. Reflective logos add to your visibility and safety. In contrast to classic warmers, these AquaRepel warmers don't get soaked in water as much and therefore are lighter and more comfortable to wear in rain. 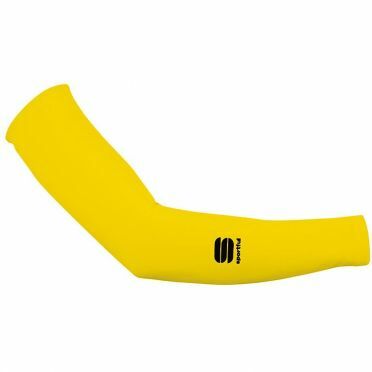 The Sportful No Rain arm warmers red perform a lot like regular arm warmers except that, as the name implies, they are also water repellent. 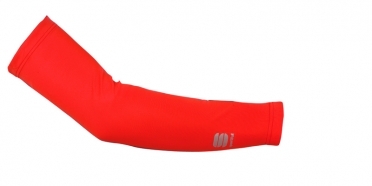 They're made from a Nylon/Elastane fabric just like most other arm warmers, with tons of stretch and breathability. Tip: keep in mind that the Sportful clothing fits smaller than normal. 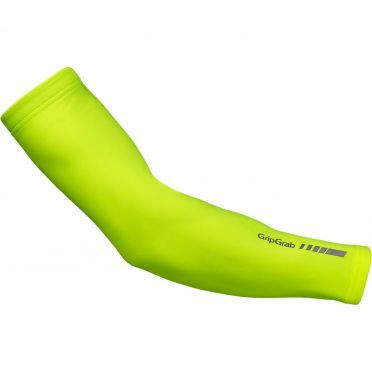 Sportful Thermodrytex arm warmers yellow fluo: ThermoDrytex is insanely soft and stretchy and the perfect choice for those days when you don’t need the water repellency of NoRain. Tip: keep in mind that the Sportful clothing fits smaller than normal. 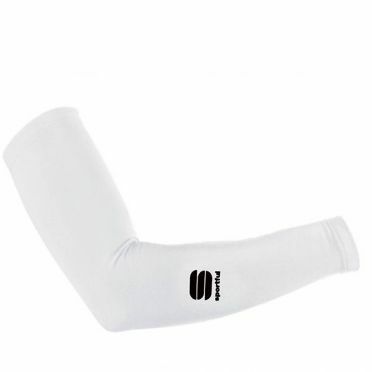 Sportful Thermodrytex arm warmers white: ThermoDrytex is insanely soft and stretchy and the perfect choice for those days when you don’t need the water repellency of NoRain. Tip: keep in mind that the Sportful clothing fits smaller than normal. Craft Armwarmers black unisex with brushed inside that keep your arms warm in cold conditions. Silicone at upper hem makes sure the arm warmers stay in place. Ergonomic fit. Craft Armwarmers flumino unisex with brushed inside that keep your arms warm in cold conditions. Silicone at upper hem makes sure the arm warmers stay in place. Ergonomic fit. 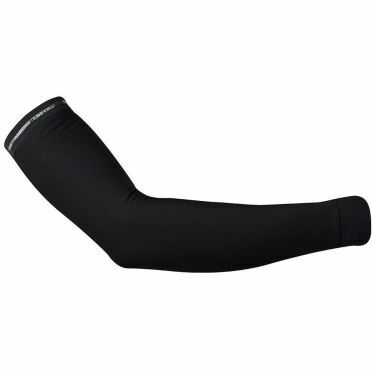 The Castelli Thermoflex armwarmers black concentrate on getting everything just right. The fabric is extra warm and stretchy, the fit eliminates any extra fabric, the silicone gripper at the top prevents the warmers from falling down, and the cross-wrap cuff at the bottom gives a touch of extra comfort. The Sportful Fiandre light arm warmers red features a NoRain nanotechnology, it is highly water repellent and extremely breathable. Perfect for cooler rides with a chance of rain. Windshield protection front panels and stretchy NoRain Light on the backs of the warmers for breathability and fit. 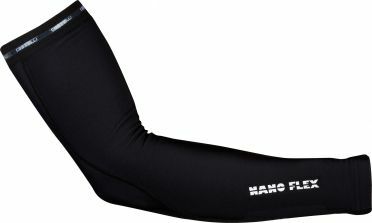 This Castelli Nanoflex+ armwarmers black are 100% water-resistant, very breatheble, offers a lot of stretch and are very warm, cause they have a soft fleece innerside. 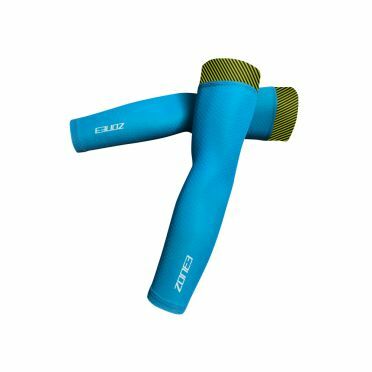 Features a siliconen gripper so the arm warmers will not slip down. Castelli added an insert on the back in Nano flight fabric to improve the bend around the elbow. Made of a NanoFlex fabric, which behaves just like castelli Thermoflex fabric in dry conditions, but then provides unbelievable water repellency when it starts raining. 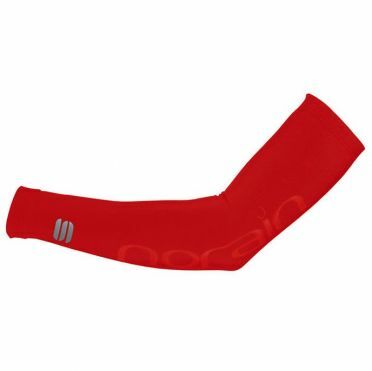 So this armwarmers are full water-resistant but ensures also a very good moisture management. 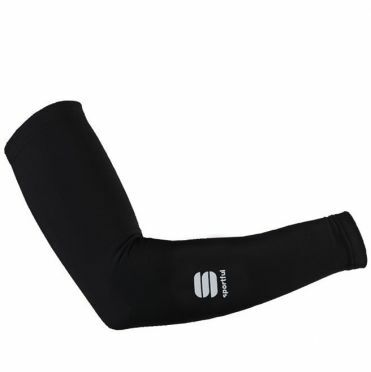 Sportful Thermodrytex arm warmers black: ThermoDrytex is insanely soft and stretchy and the perfect choice for those days when you don’t need the water repellency of NoRain. Tip: keep in mind that the Sportful clothing fits smaller than normal.